I spend quite a bit of time talking with clients about incentives and rewards for participation in their community, especially when they are launching new communities. I offer quite a few cautions against offering monetary incentives, because in my past experience, they tend not to be effective. This is especially true for communities where the members are technologists, since people working in the technology industry are already well compensated in most cases. Imagine I sent you a fruit basket for writing a brilliant comment. How would you react? Happy? You might mention it to others. You would write more brilliant comments. You would feel appreciated, it’s a great feeling. What if I paid $20 into your PayPal account? How much will you charge next time? Will you work less if you don’t get paid? Will others now want to be paid? Money makes communities implode. So send flowers, fruit baskets, chocolates and invitations to special events. Surprise gifts bring out the best in people, money brings out the worst. The point here isn’t that a fruit basket is the right reward for excellent community participation, but a little bit of creativity goes a long way toward finding interesting ways to reward participants while staying away from monetary rewards. What kind of small gifts can you send people just to say thank you for doing something nice in the community? What is something exclusive that you can offer someone as a reward that they can’t get elsewhere? I know one person who often wears a t-shirt that is only given to people with commit status for this particular open source project. He’s proud of having special status within the community. You should think of ways that you can reward people with special status in your community that will make them proud of having achieved it. A special t-shirt or other ways for them to display this special status can help reinforce this reward. It is worth spending some time thinking about creative rewards for community members. What rewards have you had the best luck with in the past? Have you ever had a company reward you in an interesting way for your participation? I just want to add a quick riff. Ideally, participation itself is it’s own reward. People participate because it increases their status amongst the group or appeases their ego. Maybe just being respected by the group is enough. These are the absolute best types of rewards and they’re entirely free. So long as you can structure the community that way. Extra gifts are nice. They are an added personal touch. It’s a way to surprise members with a ‘hey thanks for your efforts’. It’s something very unique and makes people feel appreciated. that’s so true, Dawn — anytime I get money (even though I am highly motivated by cash 🙂 I immediately start evaluating the time + expense / payment ratio. this always starts one grumping about hourly wage, and comparing that to the *real* hourly wage, and pretty soon the intangibles (reputation, participation in community, networking, geek cred points) are forgotten. iTune gift cards work well. I know that is on the same realm of money, but in a more creative manner that has more of a cool gift vibe from it. Excellent point. The intrinsic benefits that people get when they participate without any external rewards are always the best. Ideally you want people to participate in the community because they are passionate and interested, not for the rewards that someone is providing them. The types of rewards mentioned in this post should just be a nice way to say thank you rather than becoming the primary reason for contributing. Check out OpenLogic’s Expert Community. It is a community of open source committers, contributors and experts we pay on a per ticket basis to assist us in supporting enterprises with open source. The way it works is we take the first call and solve it if it is a general question. But if it is more complex we turn to the community to help us solve it. We post the ticket, with a dollar value to the community where members can choose to assist or not. They can even negotiate the value if they think it will require more effort. We’ve been hosting this community for about 2 years now and it is working quite well. 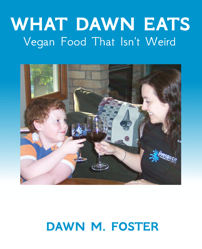 Dawn – I have never given monetary rewards or even anything tangible to compensate commenters or enhance my community. Like Richard (what’s up man?) has stated, the intrinsic value should be enough. BUT, often times if I see someone has made their first comment on my blog (or someone has been particularly active of late), I will click their link and shoot them an e-mail (or a message on Twitter) and tell them that I appreciate them engaging my content, and make a genuine attempt to connect. They should know their comments do matter to me, and when I have time (which I always should) I try to convey that to them. A gift that will delight is always a great reward for positive behavior. Angie’s list once sent me a bag of peanut M&Ms for a referral, and the postage exceeded the cost of the gift, but hey, a big bag of M&Ms made me smile for the balance of the day. Since then I have consistently left referrals when I have used vendors. Haven’t gotten any more M&Ms though. Hope springs eternal. Chris, The M&Ms are a great example of how the gift doesn’t need to have a high dollar value to be appreciated and make someone smile! Ryan, Excellent point about responding to new people who comment. Janet Lee Johnson and I recently connected this way after I commented on her blog. We ended up getting together for lunch and had some really interesting community / social media discussions. Dave, My past experience and “common wisdom” suggests that what you are doing shouldn’t work; however, you’ve been doing it for a couple of years, so obviously it is working for you. 🙂 Expect an email from me – I’m really curious to learn about your experiences. Sarah, exactly. Once we start comparing the financial incentives to what we would earn doing “real work” it seems like we’re being ripped off. What might have started as a labor of love becomes something we resent. Not to mention the potential negative perception of communities where people are being paid to post. Great article Dawn, we should always spend some time matching our rewards to the feeling we want to express. It really is the thought that counts, and your members can tell what is something you thought through and something you just pulled out of the air. But I also agree with Richard and Ryan above, physical rewards of monetary value (as even a fruit basket is) aren’t the first thing you do, they should be the last. Respect, status, appreciation: these are the real coins of the realm in community. Cake. Specifically strawberry cheesecake. Delivered to a member that did us a good deed: she took photos, posted them online and loved it. The equivalent cash expenditure would have been an irrelevancy to her.